Happy Hump Day! To get you through the day, I have posted a few of my favorite things this week. AVOCADOS! Who doesn’t love them?! I came across this delicious recipe on Food Network, courtesy of Bobby Flay. 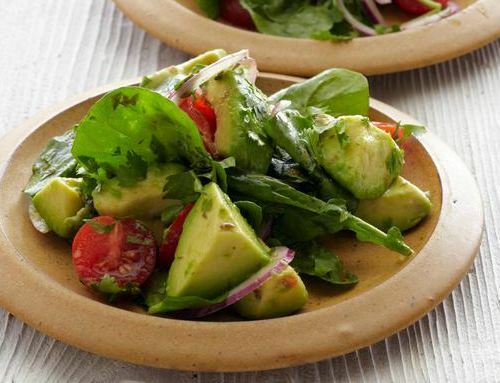 It’s a great summer salad, but honestly I could eat avocados every day….I will make it during any season. It is absolutely amazing, you will not regret eating every bit of it off your plate. 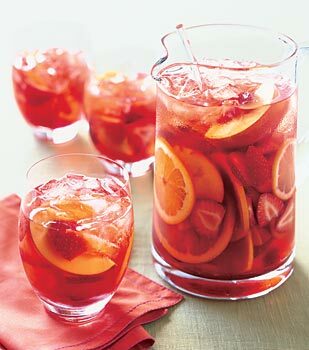 Pair it with some strawberry peach sangria and steak tips for a refreshing meal. Click here for the recipe! ….because who doesn’t love sweatshirt season?! Okay, so the cold weather is coming and what better way to get cozy than with a super soft fleece sweatshirt?! American Apparel has a variety of apparel but their Flex Fleece Hoodie has stolen my heart, especially with their large variety of fun colors, over 30! My fave is seen in the picture above (love the pastel mix) This style is Unisex and has a nice lose fit to it so you can wear it over layers, or you could order it a size lower for a more snug fit if you like. Want to jazz it up? Contact us if you would like to screen print or embroider your logo on it. Mmm…..There’s nothing I love more than relaxing with a nice glass of fruity sangria (besides my husband and dog of course). I came across this recipe one day on epicurious and just had to try it out. It looked too delicious not to! This recipe did not dissapoint. It has the perfect amount of sweetness, not too much, and is very refreshing, not too sugary either. Go ahead, whip up a batch! Here’s the recipe!